If you’re planning to make a career switch, or are at that stage where you’re deciding what kind of job you want to do in the future, knowing how to get there can be challenging to decipher. This is doubly the case in a field like writing, where there is a vast range of different options available depending on what kind of writer you want to be. 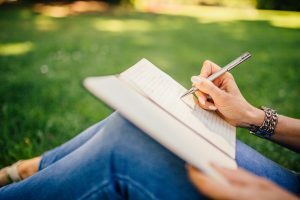 If you’re looking to get into writing and are a little lost on what to study to become a writer, these options can help you get your foot in the door – and have a clear idea what is needed to be a writer on a day-to-day basis. As Arfa Mirza at Hongkiat so simply puts it, these days practically everyone is a writer in some form or other. If you go to or have been to, a school, you’ll have experience in the creation of essays, assignments and even research papers. In a standard workplace, you’ll usually be communicating via email and creating notes for a meeting; another form of writing. Basic writing skills are essential in many jobs as well as in everyday life, from social media to messaging. 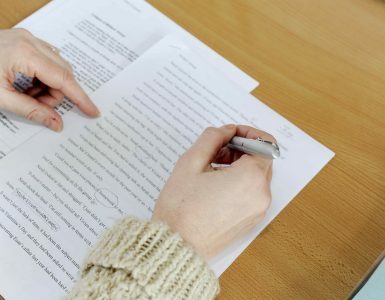 Including anything from ghostwriting to the creation of poetry or short stories, creative writing is often a more involved process than other forms of writing, requiring the production of sometimes long-form copy that’s appealing and well-written. 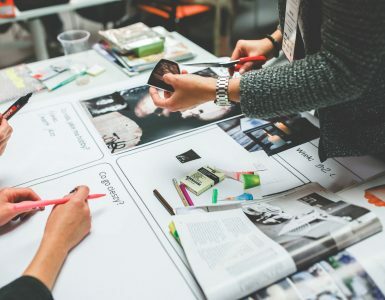 Often written in the formal style, and requiring in-depth and complex research, business and academic writers often have a specific area of expertise and are well-versed in formal writing techniques and the correct use of references and sources for their work. These types of writers use their skills to create engaging, appealing marketing copywriting that encourages customers to learn more about a project, find out more about a brand or purchase a service. Used on anything from blogs to social media platforms, copywriting requires the ability to persuade an audience, as well as other more technical skills such as the use of SEO. Working through copywriting agencies is common for this style of work. For the creation of white papers, manuals and other factual documents, technical writing often requires an in-depth understanding of a subject to create clear, easy-to-follow instructions or information for an audience. These types of writers have a focus on creating copy that is factual rather than appealing. Of course, as with any creative skill, the lines between these categories can be blurred, with some writers falling into multiple categories and others with an even greater focus on a particular type of writing or subject. With writing, it’s possible to be either generalised or specialised, allowing you to meet the needs of your customers as best as possible. 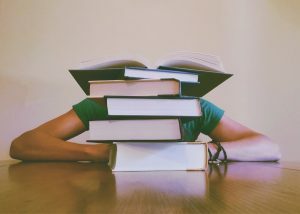 What do I study to become a writer? According to Justine Larbestelier, freelance writer and novelist, one of the main things you can do to gain and expand your existing writing skills is to get a degree in any topic you’re passionate about, as a variety of different jobs can contribute to your skills and experience. Though a qualification in English may seem like the best way to go when it comes to becoming a writer, often real-life expertise is far more beneficial, giving you the experience and know-how to create better pieces of writing. Often, simply going into higher education and university can give the perfect overview to what the life of a freelance or employed writer can be, especially in courses that require high levels of writing, from assignments to research papers and even dissertations. Spending a lot of time writing can be a great way to improve your skills over time. But if you’re looking to be more specialised in your writing, then you might want to consider a qualification in a relevant field. Many online courses and degrees are available in Professional Writing, which covers the basics of writing professionally, but especially for technical and academic writing, it’s far more important to know your subject matter. A qualification in engineering, for example, may put you in a much better position for the creation of relevant white papers and research summaries in comparison to someone who has a general understanding of writing. When it comes to finding work as a writer, your experience and skill in writing will go a long way towards gaining employment. Writers are often perpetually in a cycle of creating and studying, so the skills to be able to research and study up on a subject are key. In this way, formal education can set you up for the discipline to be able to learn about and concisely develop different topics – no matter what subject. What else do I need to become a writer? There’s more to becoming a writer than simply holding a qualification. Kristin Wong at Lifehacker detailed some of the essential skills you need to have to write as a career, which you may not consider when you first look into the option of becoming a writer. When working as a writer, you’ll be working directly with the people, or clients, who you are creating work for. As such, excellent skills in networking, working with other people and communication are essential – as well as the ability to work alone for extended periods of time. Any writer will tell you that no two jobs are the same, so it’s important to be able to embrace that flexibility and work on many different topics or types of writing as required. This is also one of the benefits of writing and ensures that you’re always creating something new and exciting. If you’re someone that doesn’t enjoy being told what to do or having your work scrutinised, then writing might not be the best career for you. 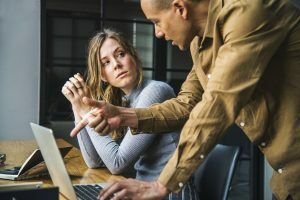 Being able to take feedback, make amends and trust your employer’s or client’s opinions are vital to developing a piece of writing that they love. If you’re considering becoming a writer, there’s a vast world of different roles, jobs and freelance positions out there to fill – it’s just a case of finding your niche. If you’re interested in developing your copywriting skills and working with a wide variety of different customers, a copywriting agency might be the best fit for you. Whether you have specific qualifications or just enthusiasm and a bit of experience, writing can be a rewarding and exciting profession for you.